A multibillion-dollar credit guarantee fund backed by China’s Finance Ministry and state lenders was initiated as part of the country’s push to expand financing availability for small businesses. The National Financing Guarantee Fund Co. Ltd., with an initial registered capital of 66.1 billion yuan ($9.7 billion), completed business registration in Beijing, Caixin learned. China’s Ministry of Finance invested 30 billion yuan in the guarantee fund as the largest shareholder with a 45.39% stake, according to the business registration database Tianyancha. Other shareholders are 20 institutions including state banks, major joint-stock commercial banks, China Life Insurance Co. Ltd. and Beijing Financial Street Capital Operation Center. The fund is intended to help channel more bank lending to small businesses, agriculture and innovative sectors by making equity investments and providing guarantees for loans, according to business registration records. China advanced the plan to establish the guarantee fund in March in a bid to increase funding for cash-starved areas of the economy, although the idea was firstly unveiled back in 2015. 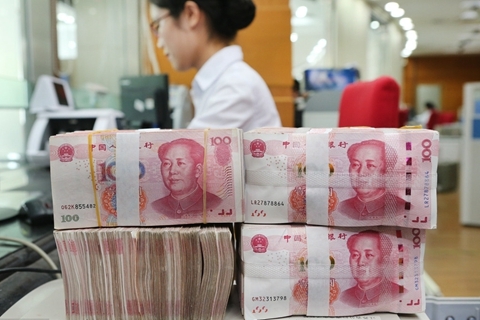 The State Council estimated in March that the fund will provide guarantees for 500 billion yuan of loans over the next three years, around a quarter of the total value of the country’s existing financing guarantee business. Small companies in China have long suffered from less access to bank loans and higher borrowing costs than large state-owned enterprises because they are seen as high risk and have few assets to post as collateral. The country’s three-year campaign to rein in debt, excessive liquidity, and “shadow banking” has exacerbated the financial strain of small businesses. Guo Lei, chief analyst at GF Securities Co., said that with the national financing guarantee fund, small and micro businesses which often have low credit ratings will be able to get loans more easily. Last month, the State Council announced a goal for the fund to support 150,000 new loans a year to small enterprises and drive 140 billion yuan in annual lending. 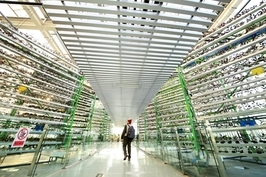 China’s government has long prioritized efforts to direct more credit to underserved sectors of the economy such as small businesses, rural enterprises, and new companies in emerging industries that have traditionally been locked out of the formal banking system. 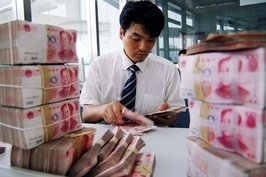 The central bank in June announced a series of policies to promote credit for small companies, including adding 150 billion yuan of relending and rediscount quotas for small firms and the agriculture sector, and lowering relending interest rates for small and micro enterprises by 0.5 percentage points. In July, China’s top financial supervisory agency under the State Council held two meetings to address measures to improve credit support to the economy and ensure that micro and small businesses would benefit from such measures.